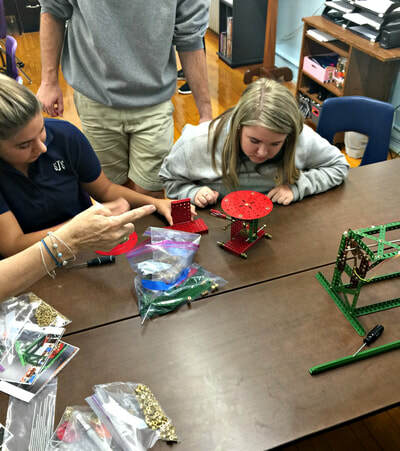 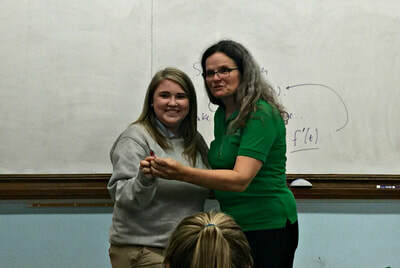 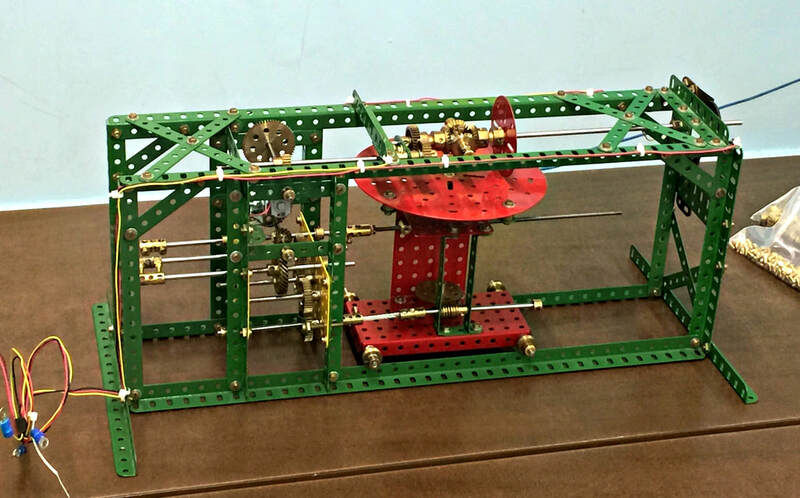 Dr. Bonita Lawrence from Marshall University and Tamara Johnson at St. Joseph are teaming up to create a Differential Analyzer (a working machine to mechanically solve equations) right here at St. Joseph High School. 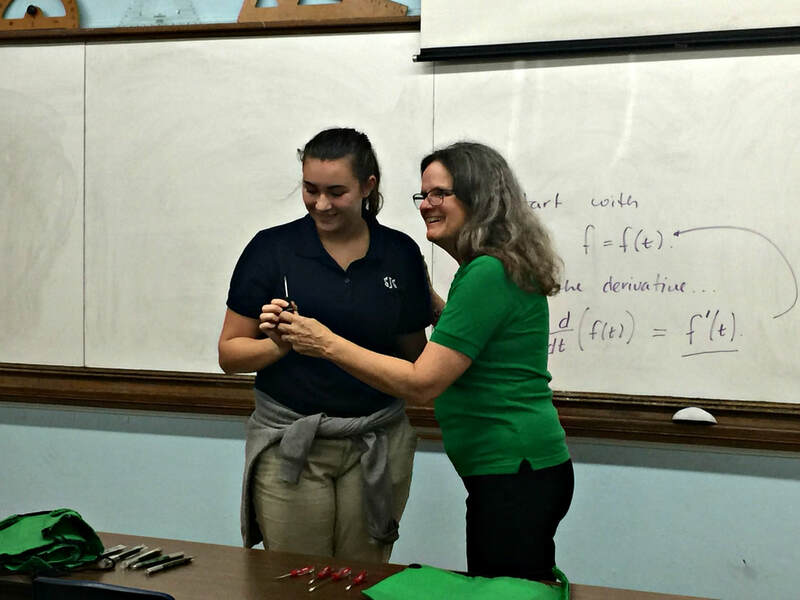 Dr. Lawrence has the only differential analyzer that is publicly accessible in the country, in her math lab at Marshall University. 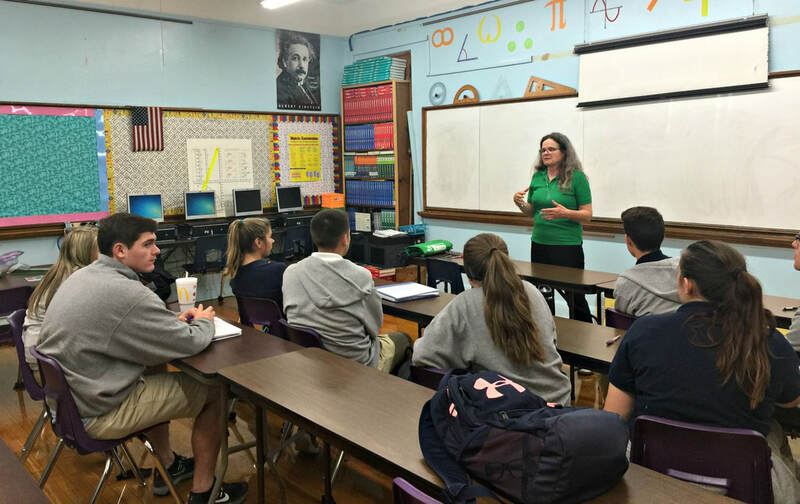 Last year, Mrs. Johnson took some of her students to Marshall to visit Dr. Lawrence's lab and learn about her Differential Analyzer. 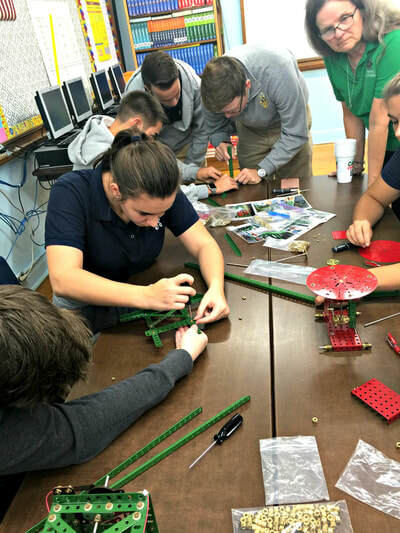 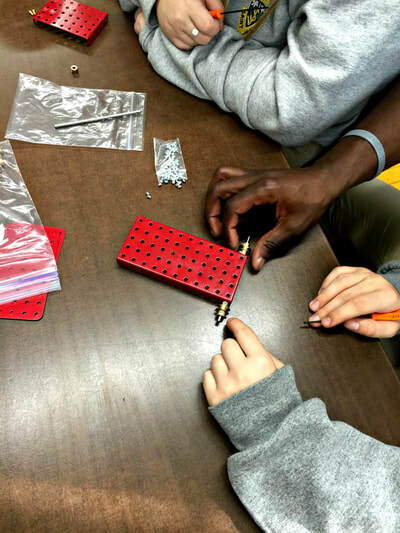 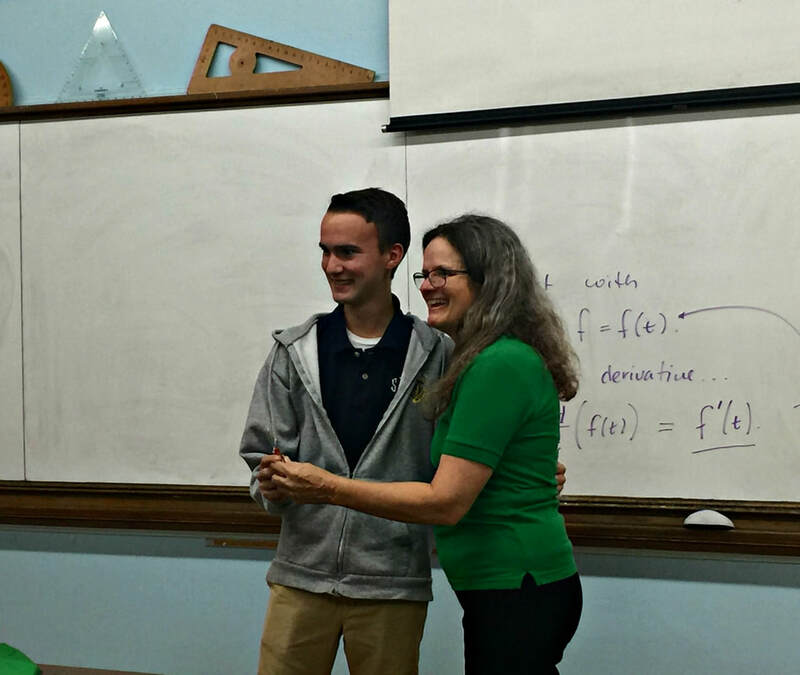 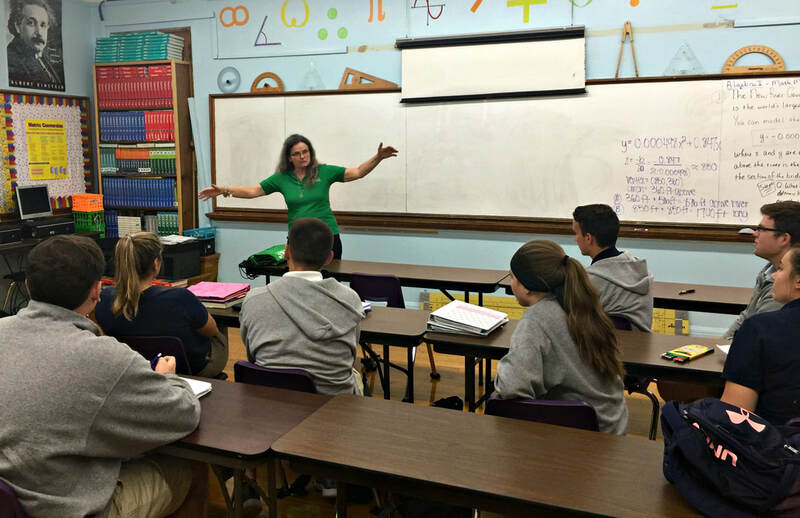 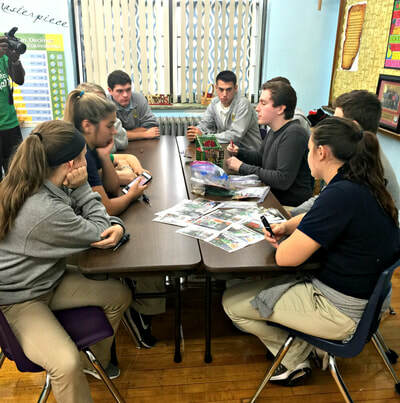 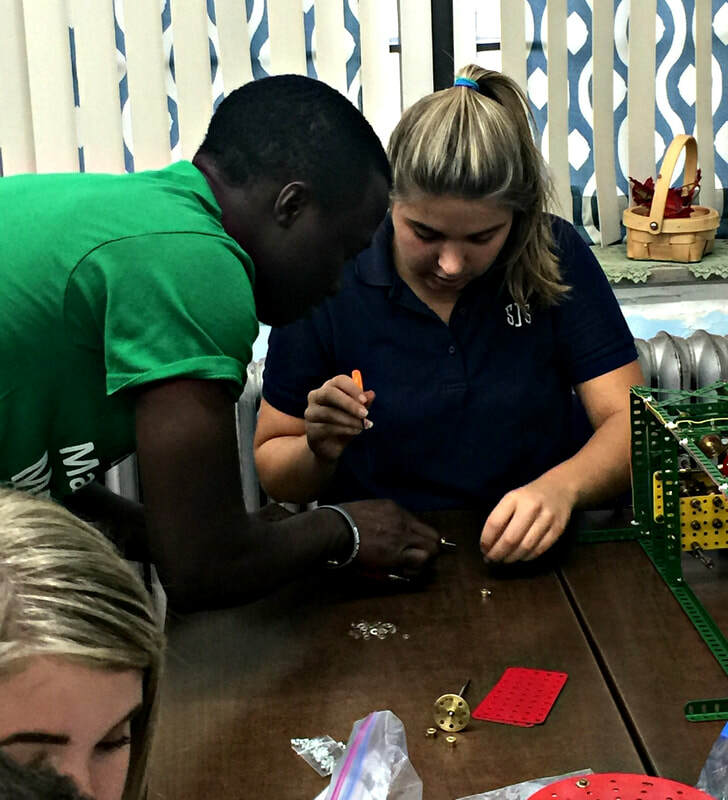 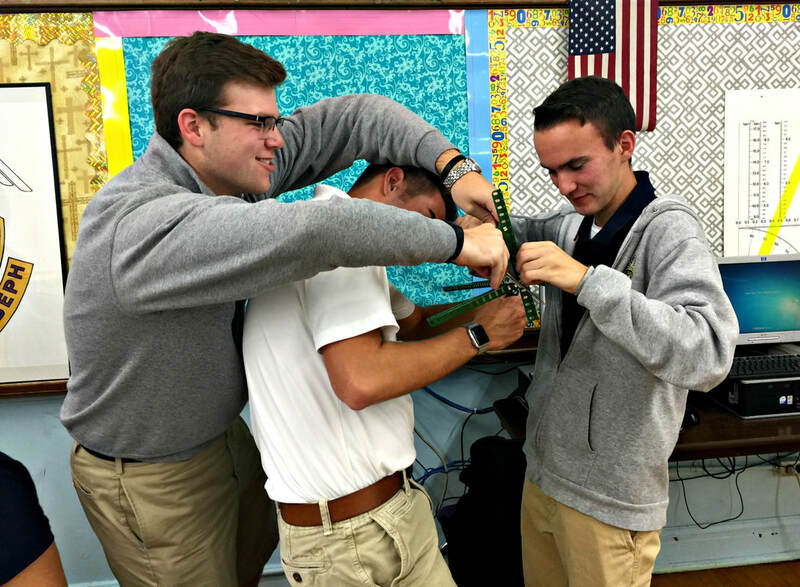 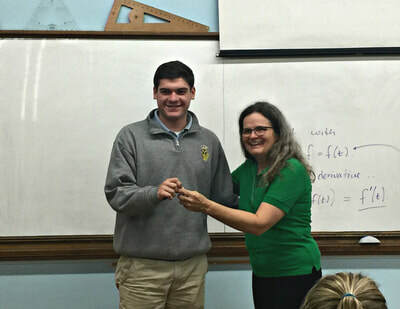 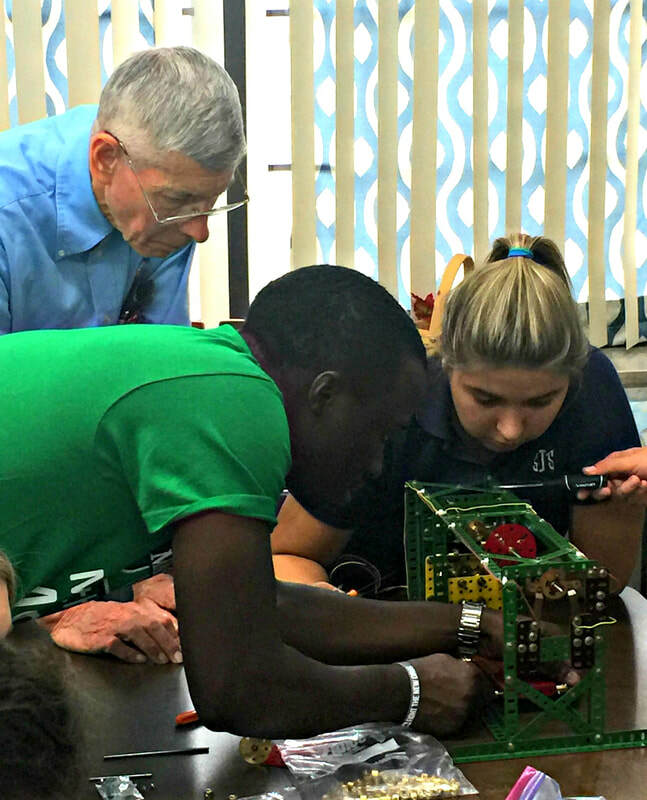 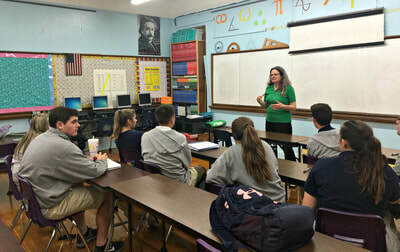 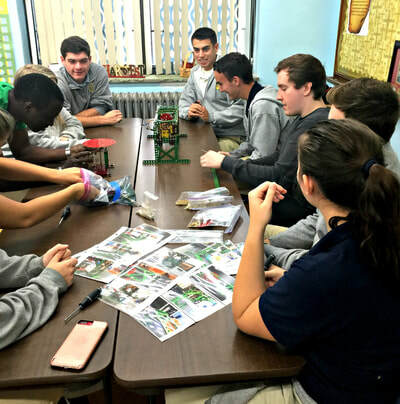 Now, Dr. Lawrence is fulfilling her dream of helping local high schools to build their own Differential Analyzer, starting with the AP Calculus students at St. Joseph. 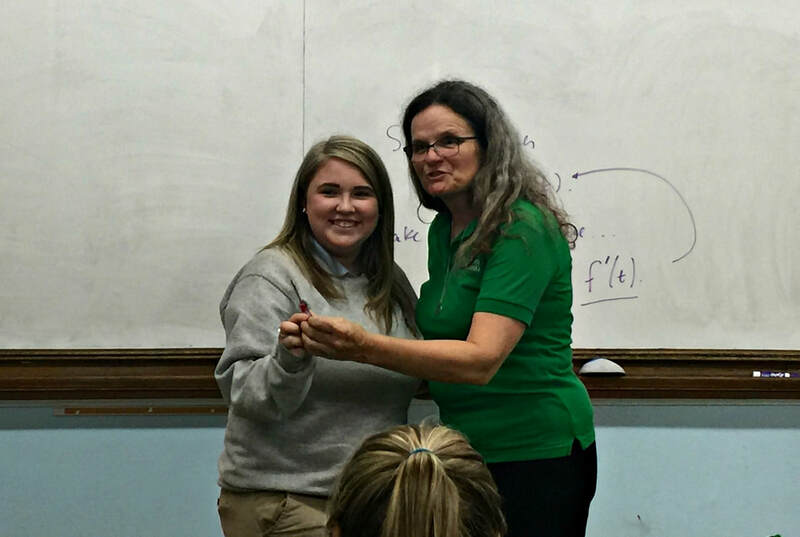 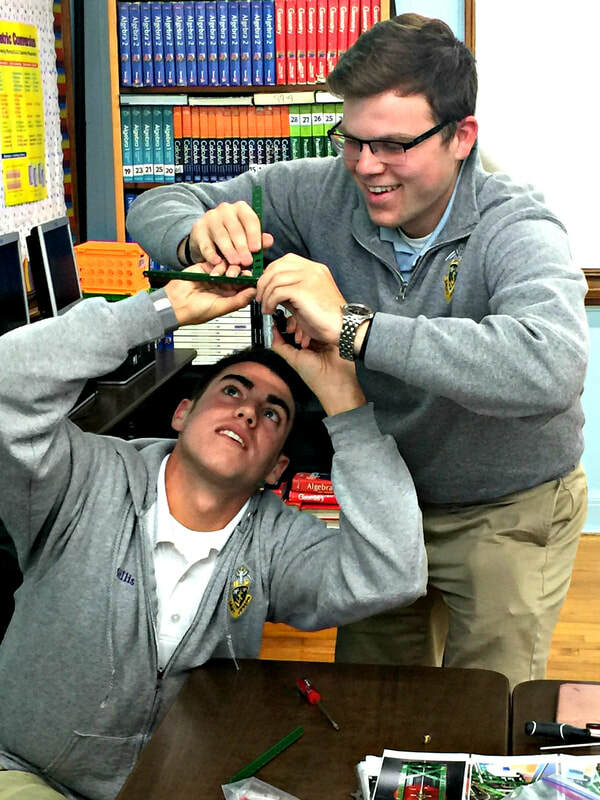 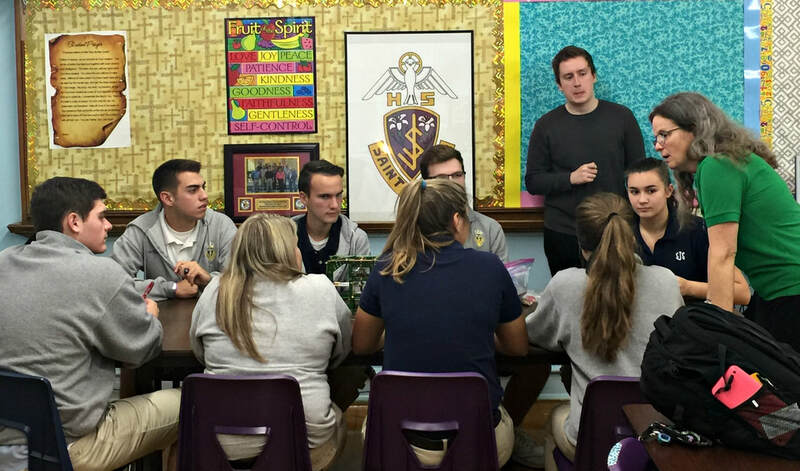 Dr. Lawrence visited St. Joseph and the AP students on Friday, November 3rd. She also brought two students to assist in the process; David, a graduate student, and Noah, an undergraduate student. 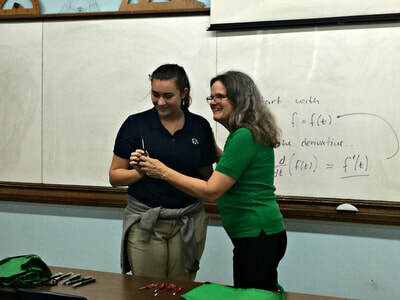 She presented each of the eight students with a screwdriver to keep and use for the project. Dr. Lawrence and her students will assist Mrs. Johnson and her class throughout the process. 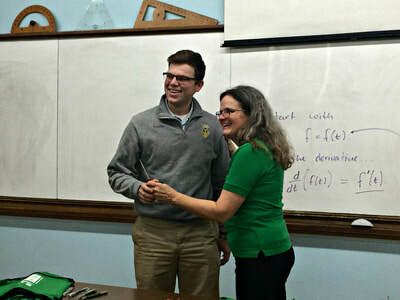 Many thanks to Dr. Lawrence, David, and Noah for bringing this to St. Joseph this year!